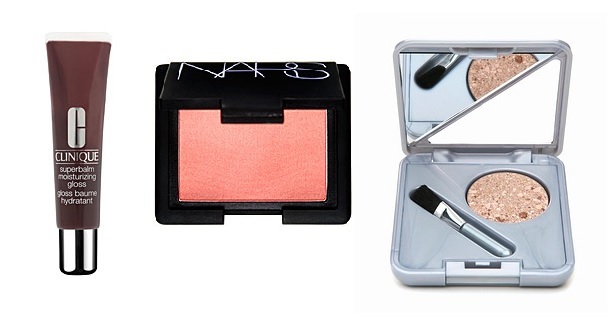 3 Products to Wear Everyday (and Everywhere)! I have been using Clinique’s Superbalm Gloss in the colorless formula for years, so when I came across the “Black Honey” version ($19.00 +tax) in Sephora recently, I thought I’d give it a try. Mostly, I was intrigued by the claim on the sign next to the product, stating that this specific colour flatters nearly every skin tone. I bought it, tried it once, and fell in love with it. In the tube, it is a little intimidating (Clinique describes it as a “deep blackened raisin”), but on your lips, it presents itself as a beautiful berry colour. I promise you that you’ll be able to wear this colour with almost any outfit, on any day. I have paired it with everything from a dark-smoky eye, to just a little bit of mascara. Another awesome benefit? The gloss itself is moisturizing and lasts a really long time. According to the product description on Sephora’s website, Clinique Superbalm, “Instantly relieves dryness while protecting lips with antioxidants and providing sheer, high-shine color that lasts”. Not a fan of the glossy look? Clinque has also developed other products with the same fab colour: nail polish, lipstick, even eye shadow and gel eyeliner. Check them all out on Clinque’s website here, or you can purchase them at Sephora, here. It’s sort of ironic that most of us “blush” when we ask for this product by name at makeup counters, but once you try it, you’ll never be embarrassed to ask for it again! This beautiful shimmery pinky-peach shade is raved about by makeup artists, celebrities, and everyday people alike. It has just the right amount of shimmer (so you won’t look like a disco ball! ), and the subtle, glowy colour and finish flatter a wide range of skin tones. Because of this, I pretty much stopped all use of my other blushes as soon as I purchased it. The price tag may seem a little unreasonable to some, ($32.00 +tax), but if you figure that this may be the only blush you’ll ever need on a day-to-day basis, it could definitely be justified. Again, this colour is extremely popular, and Nars has expanded the line to include nail polish, lip gloss, illuminator, and a “multiple” (essentially a product that can multi-task for face and body). 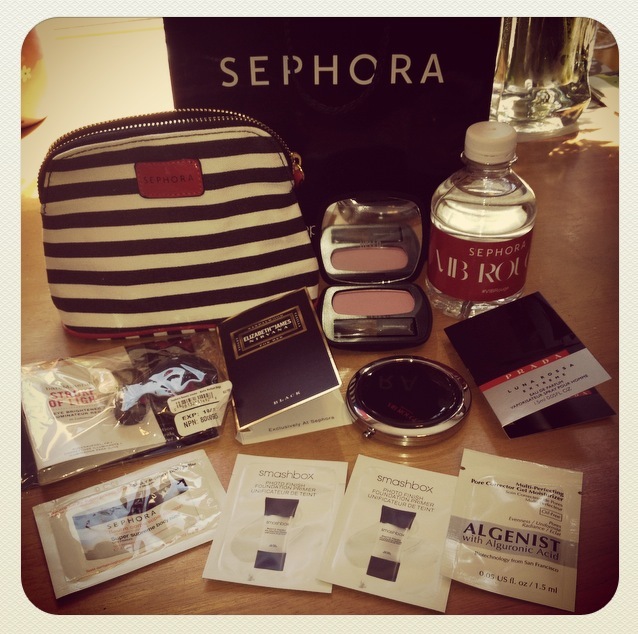 You can purchase these products at Sephora, here. Last but not least on my list of 3 products to wear everyday, is this beautiful, earth-toned eye shadow by Physicans Formula (notorious for their hypoallergenic makeup and skincare). According to their website, this product is said to brighten dark or dull eyelid area with subtle hints of pearlescent color. Depending on where you purchase this product, it can rage from $8.00-$16.00. I actually purchased mine years ago and rediscovered it recently. I’ve worn this eye shadow on it’s own for weeks in a row and haven’t got bored of it yet (and I’m normally a multi-colour, base, crease, highlight kind of girl!). The colour is predominant enough to give you a soft glowy “I-just-stepped-off-a-Greek-island” kind of look, while subtle enough to pair with a bold, bright lipstick without competing. This colour is becoming increasingly hard to find here in Canada (you can try Shoppers Drug Mart or Wal Mart), but if you’re unsuccessful, they do carry it in the United States at CVS, here. Now, if bronzey-brown tones aren’t really your thing, this product also comes in a more neutral colour, called “Natural Eyelight” that you can find online here in Canada. In the end, all of these products claim to match and flatter nearly every skin tone, and in my personal experience, they haven’t failed. If you’re purchase all 3, you really only need to add a good foundation (or tinted moisturizer), and some mascara, and you have your full daily makeup routine (and one that you can bring from day to night)!